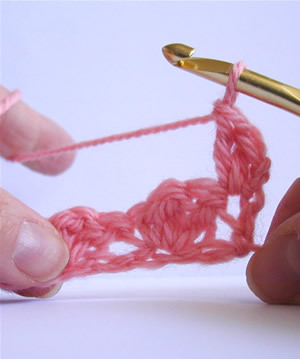 Perfect stitch for an afghan or baby blanket. Our granddaughter still has the blanket we made her when she was born. She will not part with it for anything. 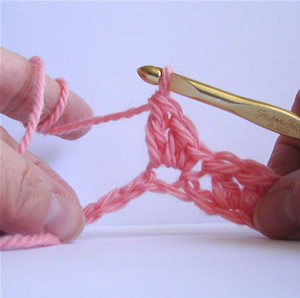 This is just a very easy stitch. 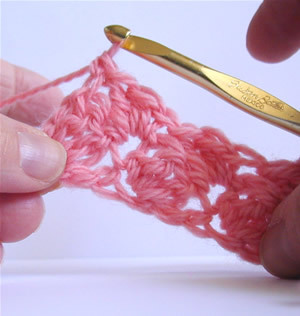 This easy stitch is perfect for an afghan or blanket. 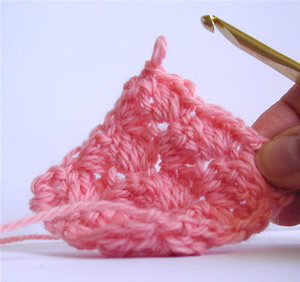 It is just sets of 3 stitches, one single crochet and two doubles. 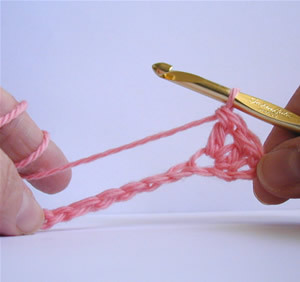 I am using a J-hook for this with worsted yarn. 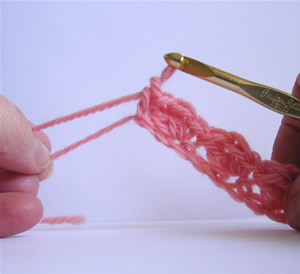 Decide how wide you want your blanket to be and chain the proper number in multiples of 3. I chained 108 for this blanket and it is about 31 inches wide. 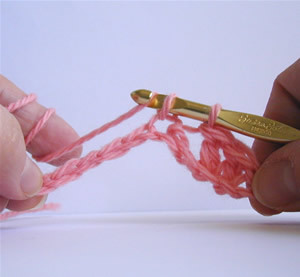 Oh, and by the way, feel free to try this stitch on a scarf if you want! Start with a foundation row of a multiple of 3 chains. 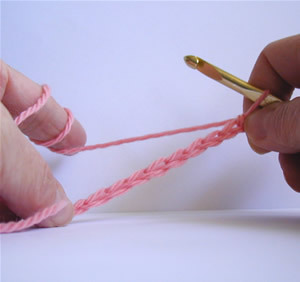 Row 1: Make 2 double crochets in the 3rd chain from the hook. *Skip 2 ch. Make 1 sc in next ch. 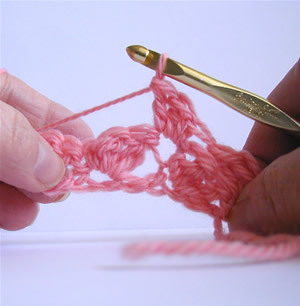 Make 2 double crochet in the same ch. Repeat from * to the end of row 1 ending with 1 sc in the last ch. Row 2: Chain 2, turn, make 2 dc in first sc. **Skip the next 2 dc, Make sc and 2 dc in next sc. Repeat from ** across ending with 1 sc in the top of the ch-2. This entry was posted on Tuesday, April 12th, 2011 at 12:00 AM by Robin Beers and is filed under Tutorials and Help. Thanks to Crochet Spot for the Article. Crochet and Knitting are Portable Yes, But Not Quite THIS Portable! Senior must stop knitting or lose home!